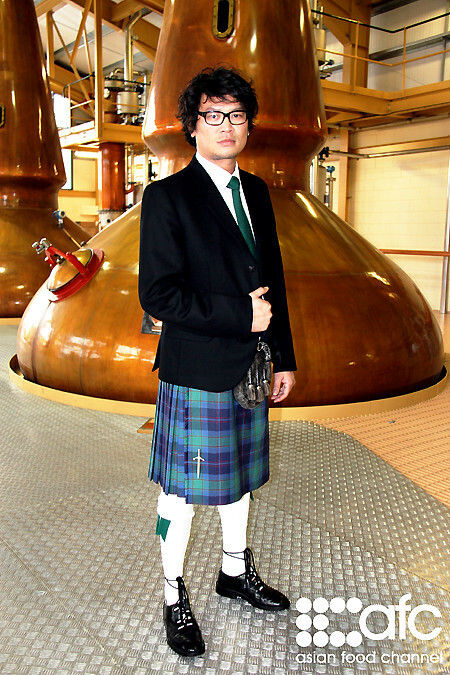 An Asian Food Channel (Ch435) original production, produced in collaboration with Pernod Ricard Malaysia (PRM), titled “Great Dinners of the World” will be premiering today (Yes, TODAY!! ), Tuesday 13 December at 10.00pm, with every new episode premiering every Tuesday and Thursday at 10.00pm subsequently. In the series, four rising stars of the Asian culinary scene find themselves transported to the foreign but culturally and historically rich Europe, and in addition to visiting the most picturesque chateaus, mouth-watering breweries and enchanting castles in France and Scotland, these four culinary maestros will be tossed out of their comfort zones and given the challenge of cooking up and delivering their signature Asian delights to their unsuspecting European guests of honour. Will they shock the foreign taste buds with Asia's exotic and spicy flavours or swiftly win over the hearts and palates of these overseas foodies? HFB caught the screener of the first episode, and as a trained culinary professional, he had to say he was kept in his seat throughout the show – it was as though he could feel the adrenalin pumping, the heart-stopping actions and the excitement all the way through! If you are one of those who enjoy watching reality television programmes, or enjoy culinary series like Iron Chef, or Hell's Kitchen, you will grow to appreciate and enjoy this series. 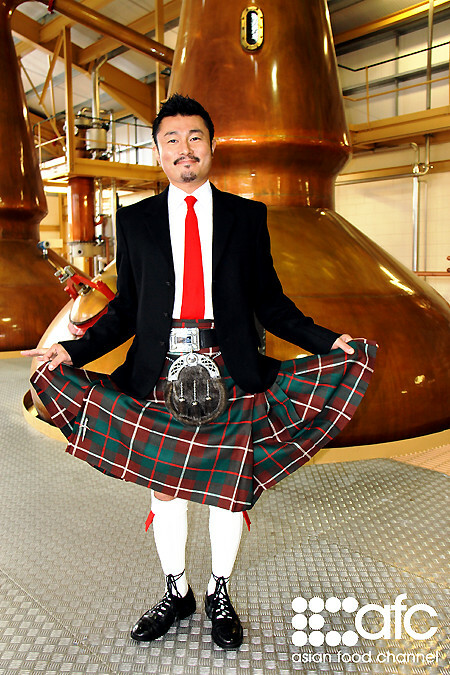 Chef Sho Naganuma is currently the Executive Chef of Hide Yamamoto, situated at Marina Bay Sands. Chef Sho took his first step into the kitchen with his father at the tender age of six, who taught him how to prepare traditional Japanese dishes. 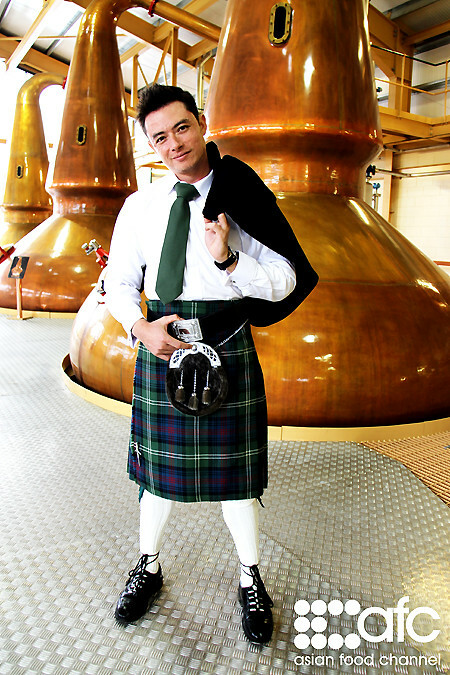 His early experiences as a young boy in his home kitchen made a lasting impression on him and sparked an interest that became a life-long passion. 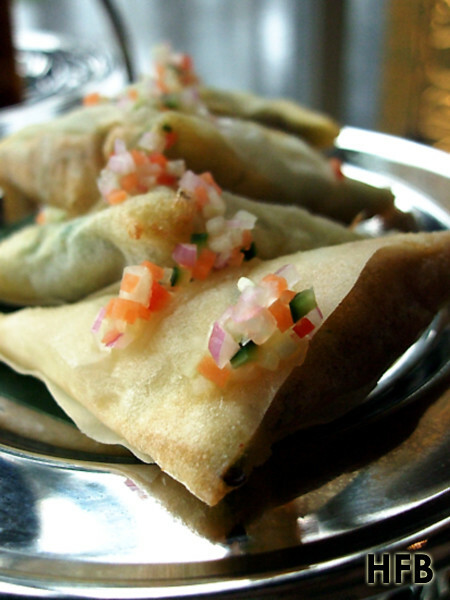 Chef Sho's food philosophy and style of cooking could best be described as “free” and "adventurous". Unhindered by the tried and tested, Chef Sho's experimental outlook in the kitchen is demonstrated by his unique contemporary take on traditional Japanese fare. 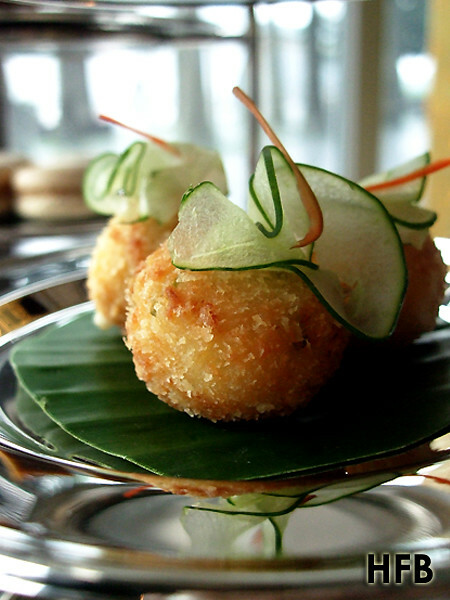 Malaysian Chef, Johnny Fua has a background in architecture, which he incorporates this experience into his dishes, by using clean lines when plating. Calm and structured in nature, he concentrates on expanding natural flavours while giving each ingredient its own unique identity. Chef Johnny is the Executive Chef at Tanzini Restaurant located at G Tower, Kuala Lumpur. And at 38 years old, Chef Johnny is still relentless in expanding his knowledge of various cuisines, techniques and ingredients. Whether plating up classic Italian dishes or stirring up a storm with free form recipes drawing from his extensive culinary experiences and inspirations, Chef Johnny’s synergy of knowledge in architecture, passion for food and culinary art, transforms even the most basic of ingredients into distinct neo-cuisine, where each plate is treated as a work of art. Do not be fooled by Malaysian chef, Malcolm Goh’s mild-mannered demeanor; his infectious personality, outgoing nature and strong passion for food commands the kitchen. 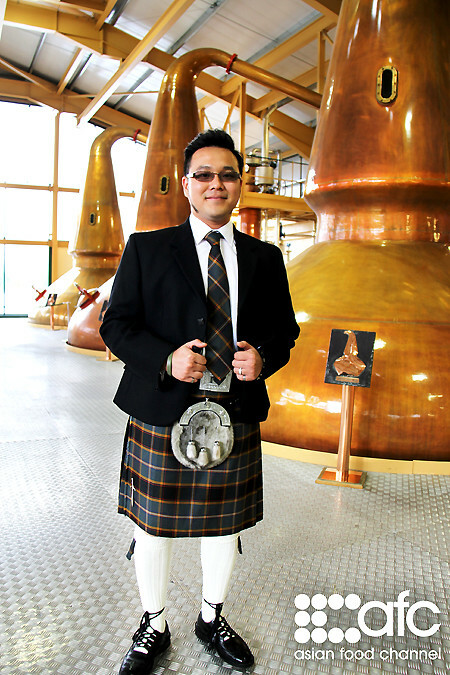 Chef Malcolm has won countless awards and competitions to date, and won his most recent award at the Hong Kong International Culinary Classic 2011, winning the silver medal representing Berjaya University. He currently holds the position of Culinary Executive/Supervising Chef at Berjaya University, teaching practical and theory classes as well as working as a Competitions Trainer. 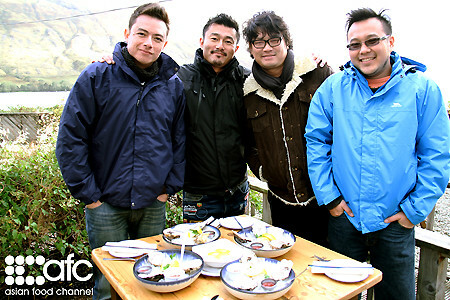 Malaysian cook, Sherson Lian is no stranger to the camera, starring in many popular television programmes in Malaysia. Recently, Sherson was a guest judge in reality programme Dapur Selebrity and is currently the host for Malaysia’s lifestyle cooking show 5 Rencah 5 Rasa. Sherson also enjoys doing his part for the community, working as a team-building consultant for the Centre for Customer Care Malaysia (CCC) and leadership training camps for foundation students at Help College teaching character building. Outgoing by nature and filled with a thirst for adventure, Sherson believes in having fun in everything that he does and making the best of every situation, no matter how taxing. So save the date, you would definitely want to sit down for this! 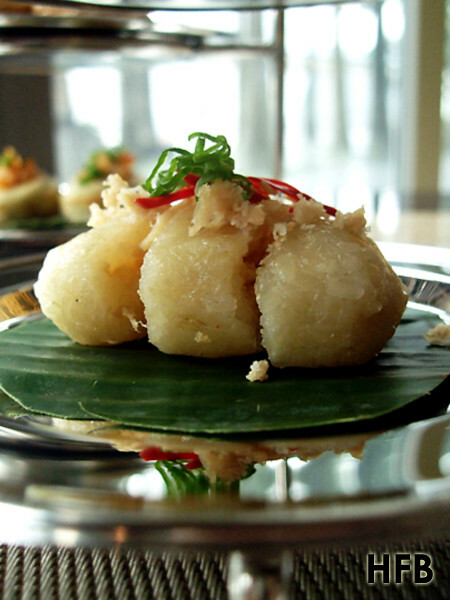 Set in the waterfront at The Shoppes of Marina Bay Sands, The Moluccas Room is named after the Maluku Islands, or the Spiced Islands, that is part of Indonesia, and is a contemporary and modern Indonesian restaurant featuring a unique marriage of authentic Indonesian flavours and Western cooking techniques. Helmed by Indonesian-born Executive Chef Alicia Tivey, whom HFB had an opportunity once to learn from her at Palate Sensation, The Moluccas Room has recently launched their High Tea service, which is available daily from 3pm to 6pm. 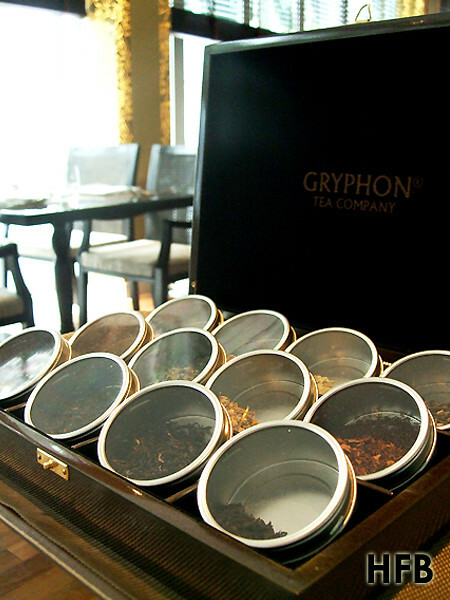 The tasting session commenced with a fine selection of tea leaves that was specially crafted by Gryphon’s master tea blender. And HFB picked up a white tea termed as White Gingerlily, an organic White Peony Tea with Thai galangal and lemongrass that creates an aromatic and delicately balanced brew of floral and earthly tone. 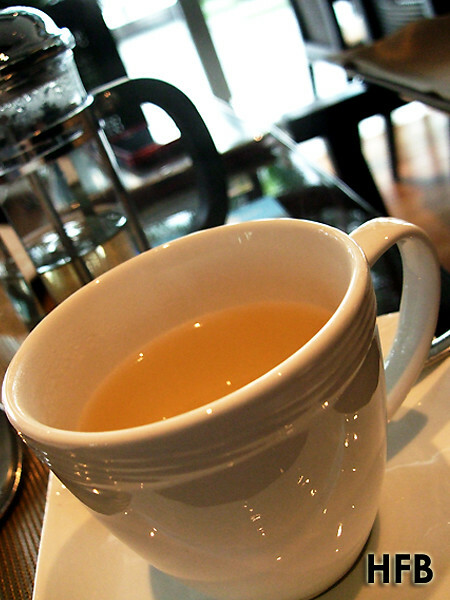 HFB appreciated the subtle hint of citrus finishing amidst the very mild and smoothing white tea. 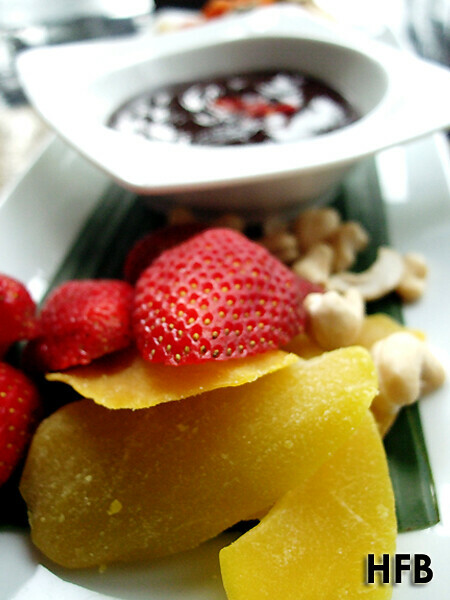 The chocolate lovers could indulge in The Moluccas Chocolate Society ($28++ for 2 persons) which presented an array of dried fruits, gourmet nuts and Gula Melaka macaroons served with a spicy Belgian chocolate dip. While HFB wasn’t a keen fan of dried fruits and gourmet nuts, he was really impressed with the very rich chocolate dip that came with a tint of spiciness from the chilli. As for the gula melaka macaroons, what more could HFB say – truly a perfect marriage between the Asian ingredient and the French pastry. This was one of HFB’s favourite food offerings that afternoon. 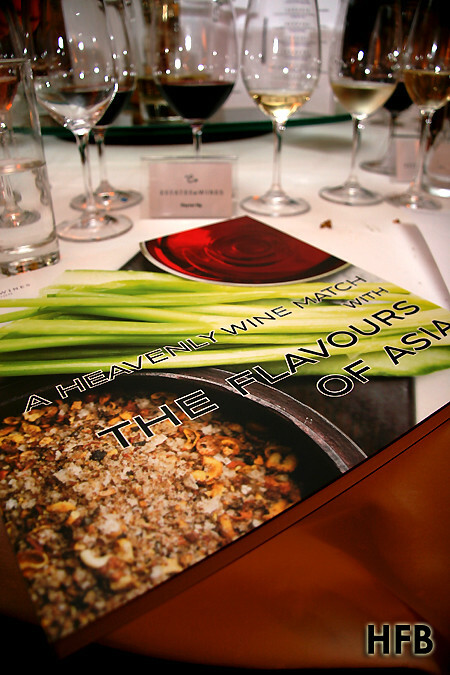 HFB looked forward to more adventurous and exciting Asian spices to pair with the macaroons in future! The other offering during the high tea, was the The Moluccas Posh Tea Society ($32++ for 2 persons). 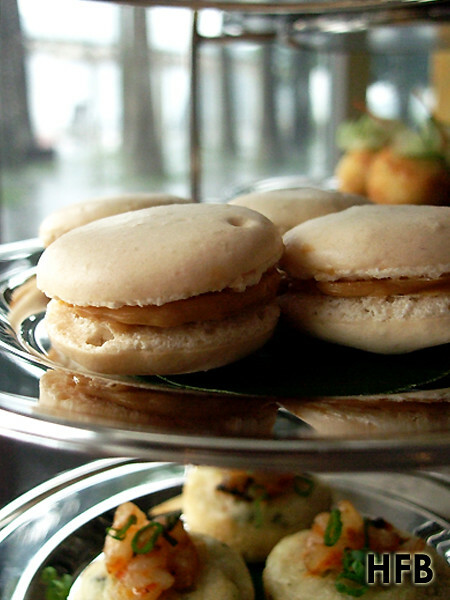 Besides gula melaka macaroons, it also came with 5 other canapé-sized offerings on the multi-tier stands, along with tea and coffee, which HFB thought was more value-for-money. 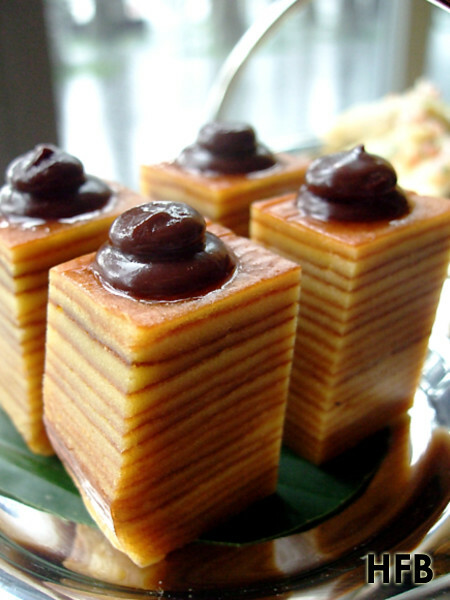 The Lapis Legit, a traditional “thousand-layer” spiced cake delicacy, was really rich in flavours. Except it was a tad pity that it could make do with somewhat more butter as HFB found it modestly dry. HFB was a little discontented with the Battered Bitter Ballen. Not that it tasted terrible or anything, but in his own words, it was uninspiring and non-intriguing. It was literally a Western dish of mini croquette balls stuffed with creamy chicken ragout and béchamel sauce. HFB was secretly hoping that there was a twist to it, but it didn’t take place, or at least it wasn’t evident enough; there was nothing Indonesian about it. Thankfully, there was the Lemper Ayam to save the day. Traditional sticky rice with spiced chicken filling, it was nothing short of excellent! Nicely seasoned with a good balanced of flavours, the spiciness of the chicken paired brilliantly well with the sticky rice. HFB could definitely afford to pop a few more of these in his mouth. The Udang Serabi was another beloved with HFB. 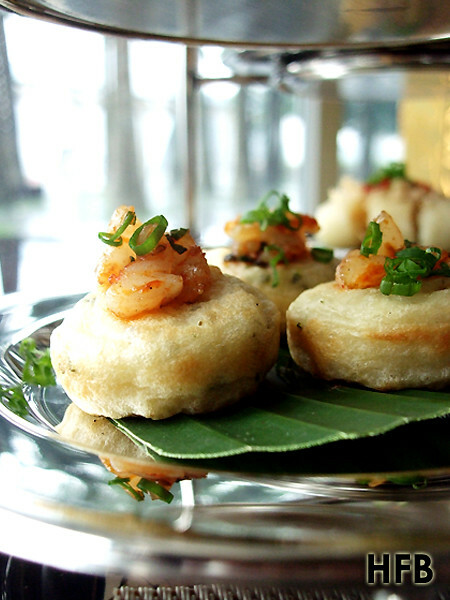 Prawn blinis served with homemade mayonnaise sauce. HFB loved the nicely spiced prawns! It was really addictive. This is the Martabak Telur Istimewa, a home-made pan-fried savoury egg pancakes served with special tangy & refreshing sauce. To be honest, HFB can’t really make out what was inside the filling of this dish. But HFB did vaguely remember it went well with the sauce. Also available during their high tea was the Sri Kaya Crème Brulee ($12++), coconut custard infused with pandan leaves and topped with Indonesian flavoured ice cream. 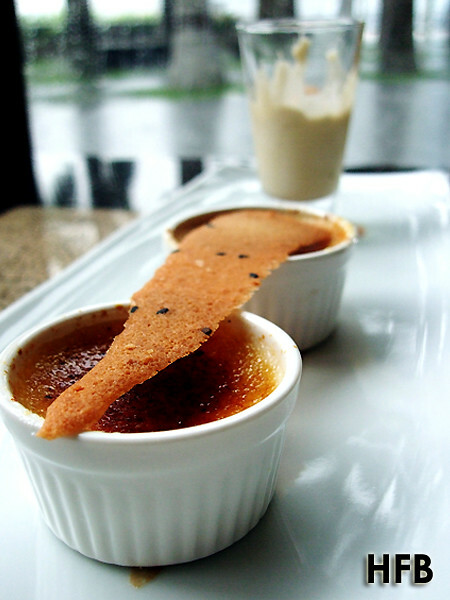 HFB loved his crème brulee, and certainly Moluccas’ version suited his taste buds. Its texture was smooth and silky and the coconut cream went really well with the gula melaka. This was a pairing that wouldn’t go wrong. There were also ala carte desserts made available during tea time, and one of them was the Serabi ($12++), an Indonesian pancake served with creamy jackfruit pulps and drizzle of molten palm sugar syrup. HFB is not a huge enthusiast of jackfruit, and he also felt the pairing was a little odd, but nevertheless the pandan-flavoured pancake along with the sugar syrup was really yummy! 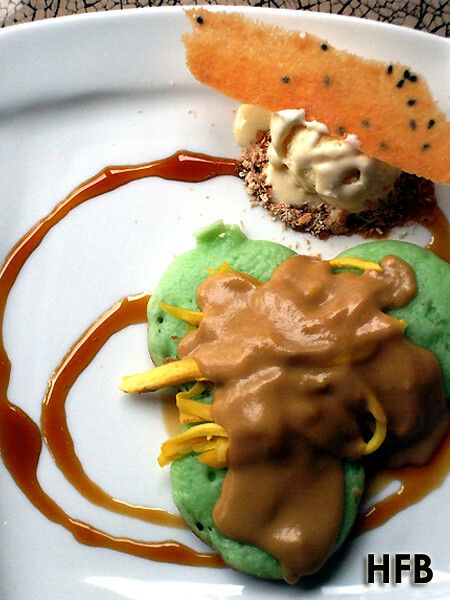 But HFB’s ultimate favourite was Moluccas’ version of Pisang Saleh Coconut Milk Ice Cream ($12++). The grilled banana slices accompanied with the home-made rich coconut ice cream was a clear winner! 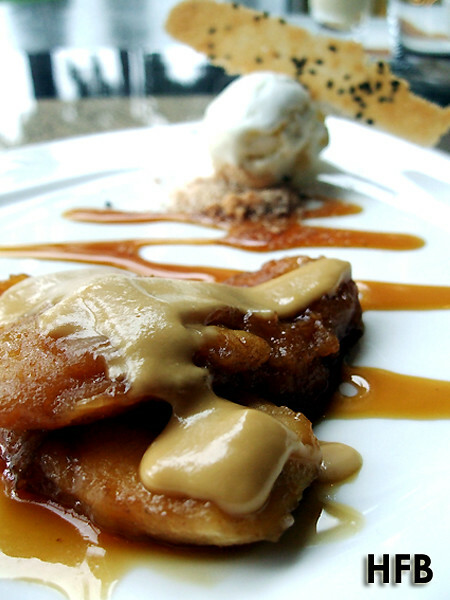 Well-caramelised banana that was really sweet and flavourful, it went intensely well with the coconut ice cream. 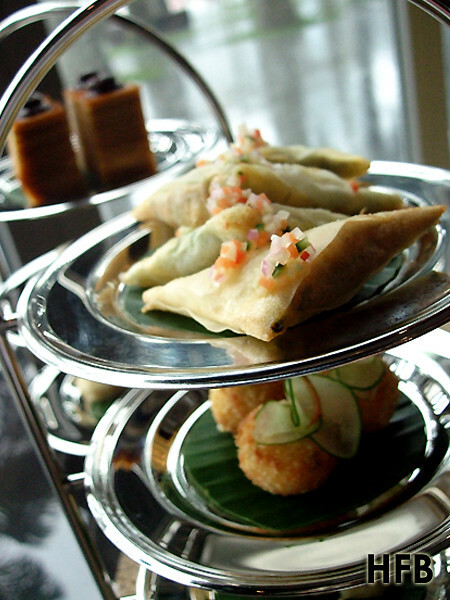 Overall, if you have some time and cash to burn for a slow afternoon high tea, why not give The Moluccas Room a try. HFB really loved the ambience and everyone enjoyed chit-chatting the afternoon away with their old and new-found friends during the session. Disclaimer: No ratings would be given, as this is an invited taste test. HFB would also like to take this opportunity to thank Karen, FoodNews and The Moluccas Room for their hospitality. Most foodies would know the basic principles of wine pairing – red with red meat and white with white meat. And most would usually associate wines with Western or European cuisines. But to help altered this mindset and modernised the Asian culinary scene, Moët Hennessy had created a FREE iPad app, “Flavours Asia” (Note: You must be above 17 years old to download this application), based on their world renowned coffee table book, A Heavenly Wine Match with The Flavours of Asia (more on that later), to help foodies, like you and HFB, to decide which wine complements best with your favourite local Asian dishes. 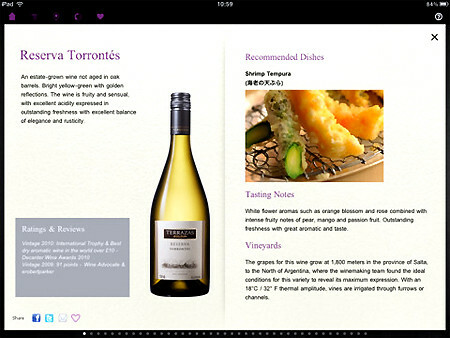 HFB loved the fact the one can easily search for the information needed based on the categories listed in the app - Pairings with Wine and Pairings with Food. And HFB definitely loved the fact that the actual labels of the wine were displayed on the app, so that one would not have the excuse to say, “Which one eh?” when come faced with a rack full of bottles at the wine shop! 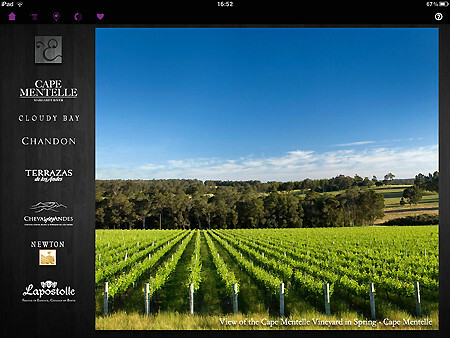 Also try clicking on Brand Stories and it teaches you about the wine makers who create these outstanding wines. For those who wished to understand more in-depth details about the history, grape varieties, harvesting or bottling technique, this is the section created specially for you! The food pairings are listed according to different countries, different ingredients and different flavours. 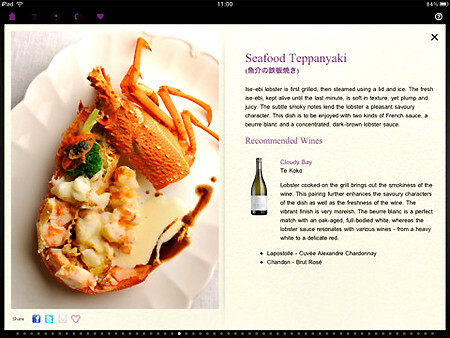 So go forth and search for your favourite wine now to go with your Chilli Crab, Bak Kut Teh, Thai Green Curry, etc, now! 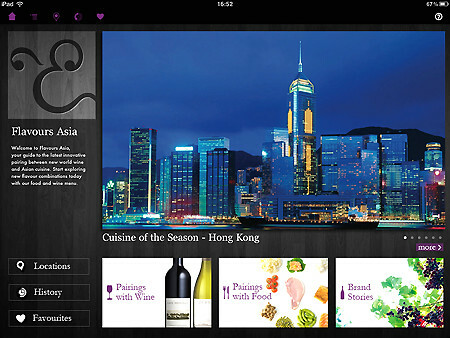 HFB was also told that the app would be updated every quarterly, so be prepped for up-to-date articles and news from some of Asia's finest sommeliers, chefs, and bloggers via this app. 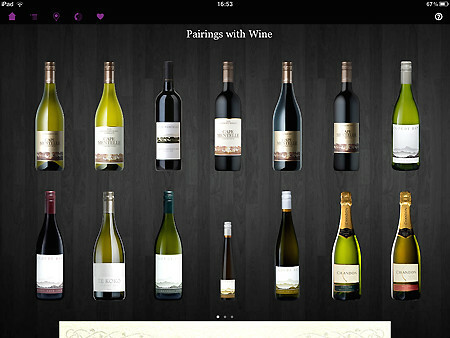 Yes, everyone can be a wine connoisseur! And if that wasn’t enough of good news during this festive season, HFB will also be giving away FOUR copies of the coffee table book!!! Yes, you heard it right, FOUR copies of coffee table book that will come really handy this Christmas, New Year and even CNY period! FOUR persons with the most chances will walk away with the coffee table book. In the event if there is a tie, HFB will do a random selection. Deadline for this contest is: 22 December (Thu) 2359hrs. This contest is open to readers residing in Singapore only. Winners will be contacted by email. All decisions made by HFB are final.